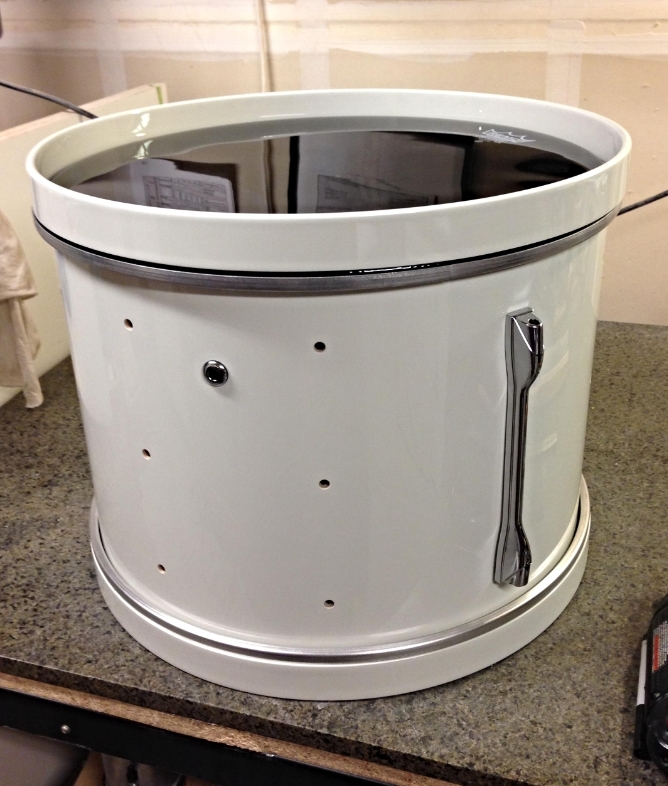 A custom made addon 16×20″ kick drum to match a Yamaha Recording Artist Series from the early 80’s. This series is now officially out of production and the color was extremely limited. 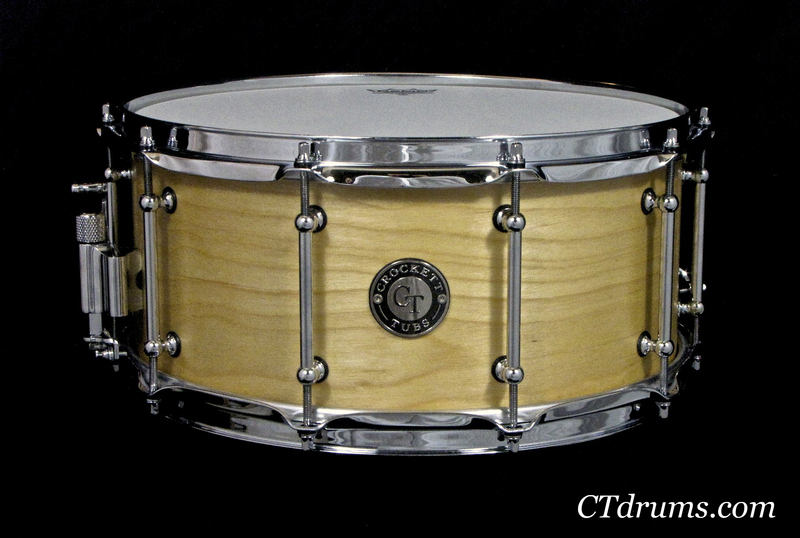 The all birch 8ply shell is very similar to the Yamaha series in tone. We added original full length high tension lugs, same spurs, and our own high quality craftsmanship. The original kit was a limited white lacquer with a copper pearl topcoat that we recreated perfectly. 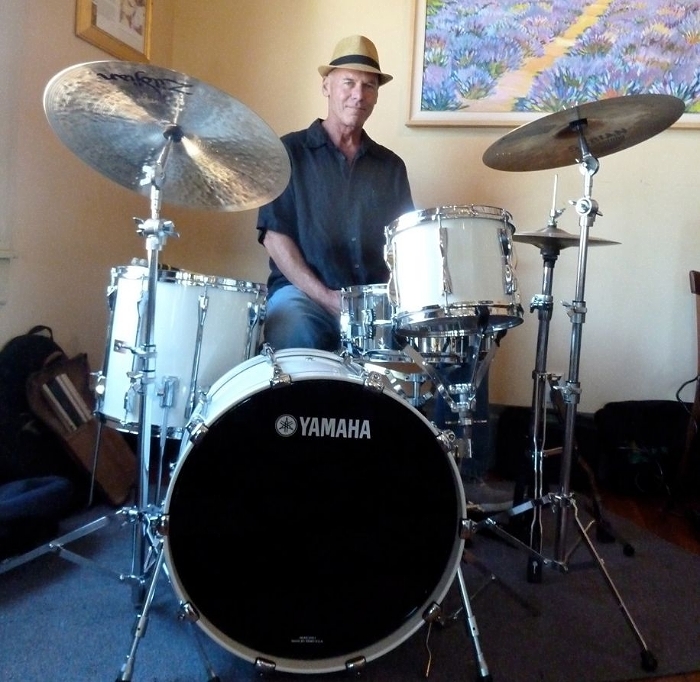 Shown as the drum and hoops as the customer assembled it himself, then a pic of his new drum at the next gig. 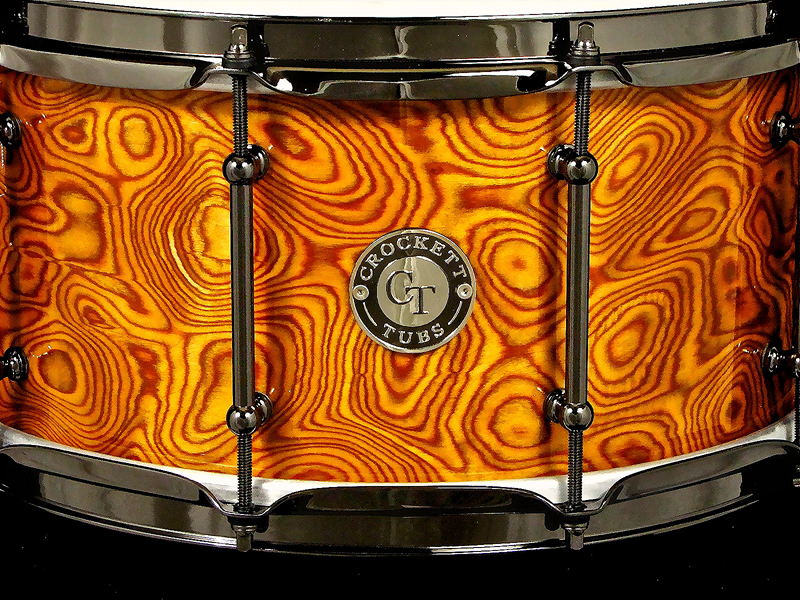 This custom veneer is man-made from actual wood to create this psychedelic look. 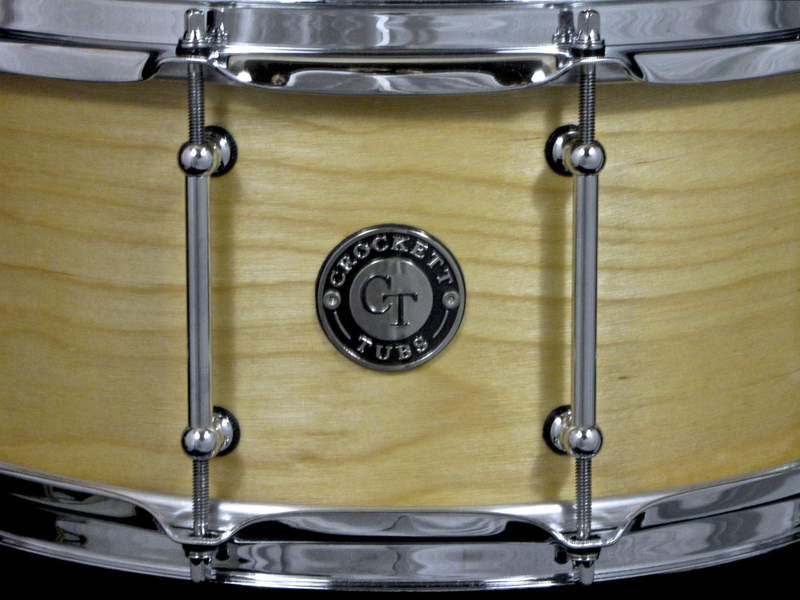 The 7×14″ all birch shell with custom veneer is naturally finished under our rich high gloss clear coat. Hardware includes black nickel parts with full length tube lugs, 2.3mm triple flanged hoops, and a Trick multi step throwoff. 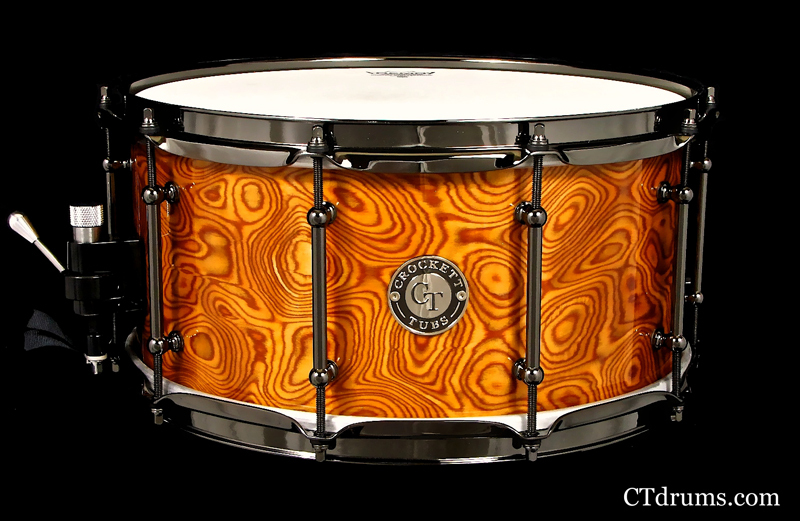 Great focused pop and bottom end out of this unique snare drum. A prime example of our Studio Series snare drum which is an all 100% Birch 8ply shell with our dual 45 rounded top bearing edges and smooth snare beds. Our birch shells are slightly more focused than maple as they are more boosted mid tones and have a more controlled sound. The lack of extreme high end or excess of overtones creates a snare sound that is great under the microphone or in any studio. Many of our Studio Series Birch drum customers have raved about their versatility as you can play these drums live or in the studio just fine. 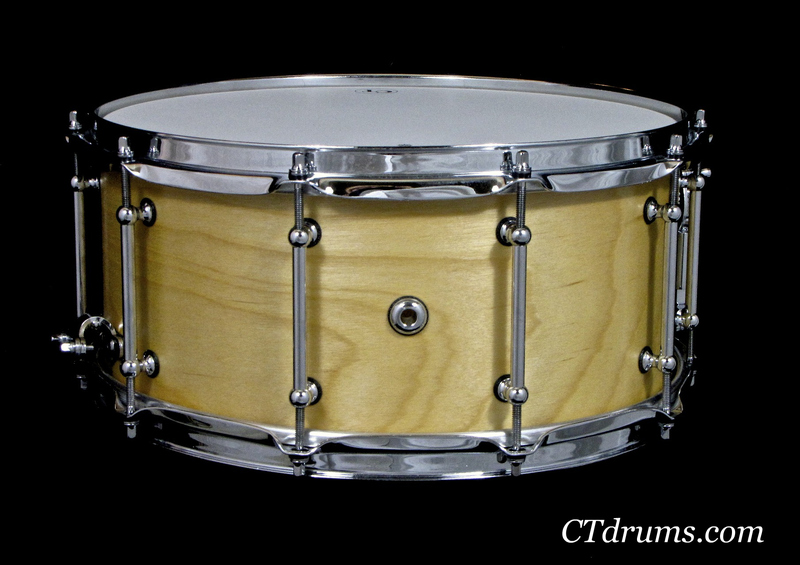 This drum is finished in our natural satin oil with all chrome hardware, including full length tube lugs, 2.3mm triple flanged hoops, and a RCK throwoff. A Studio Series birch 8ply shell wrapped in Copper Marine Pearl with GN double ended snare lugs, 2.3mm triple flanged hoops, and a RCK throwoff. The chrome hardware looks great against this classic color wrap. 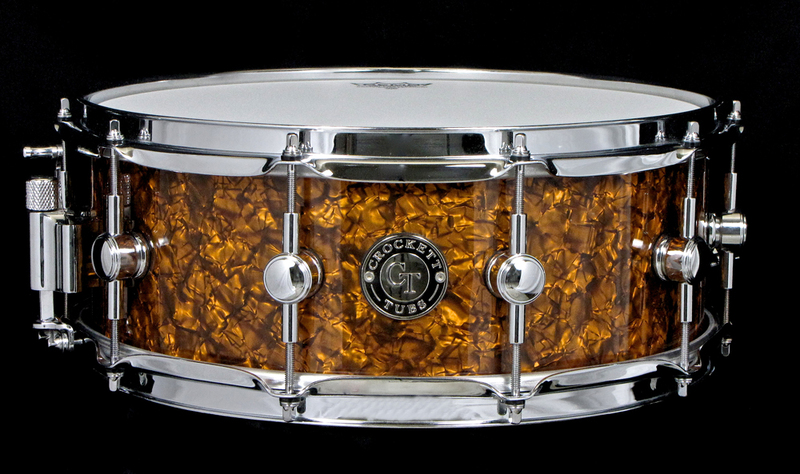 This 5.5×14″ snare has a focused tone that is warmer than maple and less overtones. They sound great under the microphone or live on stage.